Your child’s baby teeth will start to descend around the age of seven years old. This means that they will either start to fall out or will shift in preparation for the adult teeth that will be breaking through the gum line in the future. It’s vital that at this age, they regularly see the dentist every six months to have their oral progress monitored. 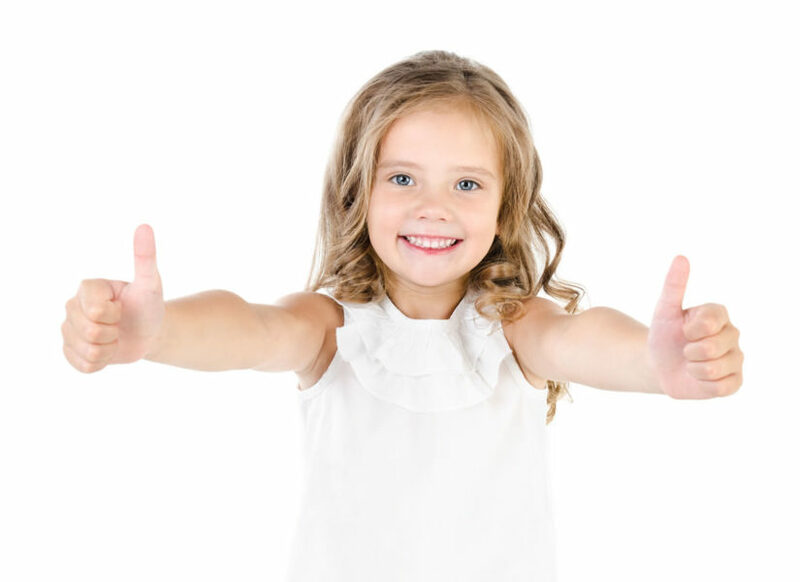 If your child will need future alignment correction for an overbite, underbite, misaligned teeth, or teeth with large spaces between them, it is best to find out as early as possible. If an issue is identified, it doesn’t mean that your child will need braces right away. In fact, it is very rare for braces to be put on a child this young. However, there are steps that can be taken as early as seven years old to fix alignment issues that may arise in the future. 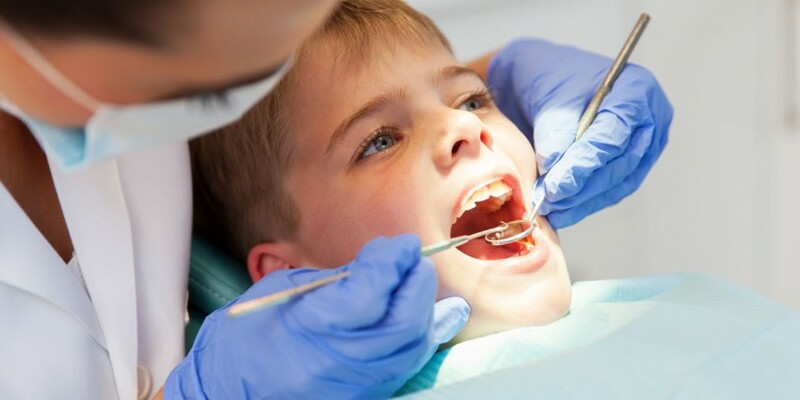 For example, if your dentist can see that your child’s adult teeth will need more room to grow in order to prevent teeth from crowding or breaking through the gum line where they shouldn’t, they may recommend that a baby tooth be removed to give the permanent teeth the space they need. Alternatively, leaving baby teeth in place can also prevent future adult teeth from drifting into gaps that they shouldn’t. Taking preventative measures like this means that future braces can be avoided. Each situation is specific and requires the expertise of a dental professional to determine the best course of action. Making sure that your dentist knows your concerns and preference to avoiding braces will help them to give you the best advice for your situation. Sometimes braces are not the best choice for you and your child, depending on the situation and your concerns. There are now teeth straightening options in addition to traditional metal braces that can help correct alignment issues. The Invisalign straightening system is one that has proven to be very popular as it replaces metal wires with transparent plastic trays that gently push teeth into place over time. The teeth straightening trays are practically invisible, eliminating any concerns about the cosmetic appearances associated with braces. Invisalign also allows your child to eat, drink, and clean their teeth as normal, since the straightening trays are easily removable. If braces are unavoidable, why not upgrade them? If your child does need traditional metal braces, there are some options that can make them more appealing. No longer do braces come in just plain metal. Now there is an array of fun colours that can be incorporated into the braces, which your child can pick to suit their personality. These colours can be changed every time they visit the dentist and can make the experience much more pleasant. Studies show that over 75% of children who wear metal braces choose to have their favourite colours incorporated into them. Lingual braces are another great alternative to traditional braces as they are placed behind the teeth. This means that they look and operate like traditional braces but are not visible. This type of alignment appliance can be higher in cost however, so knowing what is most important to you when making decisions about your child’s oral health is what will determine the road you will take. Making big decisions about your child’s oral health can be stressful. That’s why having a dental professional who you trust is essential in putting both you and your child at ease. If you do not currently have a family dentist or are looking for a new dental practice, check out 123 Dentist’s list of dental practitioners.